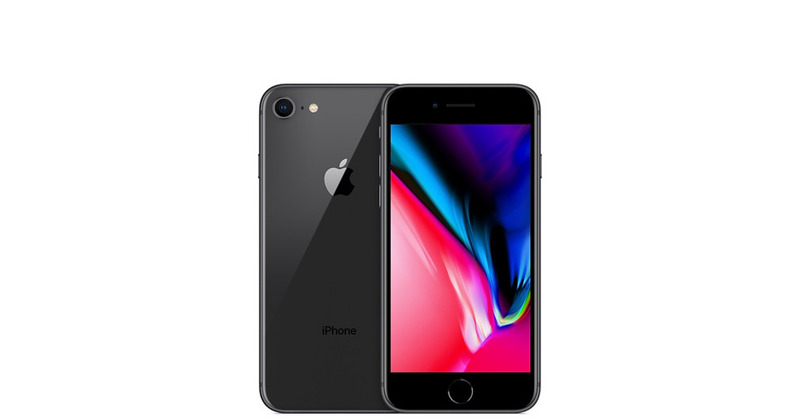 With Apple expected to launch three new iPhone models next year, a new report suggests the company could slash prices on the 4.7- and 5.5-inch models with legacy LCD technology, allowing them to appeal to a new segment of consumers. Aligning with numerous other reports, analyst Ming-Chi Kuo of KGI Securities believes Apple will unveil a flagship, redesigned OLED iPhone next year, accompanied by two LCD models at the same size as the current iPhone 7 and iPhone 7 Plus. But Kuo believes that the 4.7-inch 2017 model, in particular, could become a new mid-range or even low-end model for Apple. If Apple does lower the selling price of its models with LCD screens, he sees the so-called "iPhone 7s" accounting for between 30 and 35 percent of new-model iPhone shipments in fiscal year 2017. 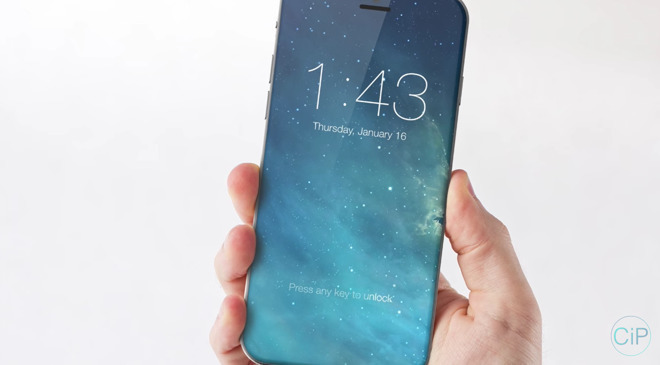 Most sales, he suspects, will go to the OLED "iPhone 8," predicted to account for between 50 and 55 percent of shipments of new models next year. With a new bezel-less design hiding key components —such as the earpiece and Touch ID fingerprint sensor —underneath a screen sized between 5.1 and 5.2 inches, the OLED iPhone is expected to be a radically redesigned handset celebrating the 10th anniversary of Apple's iconic smartphone. And though he said prices may also be lowered accordingly for the jumbo-sized 5.5-inch "iPhone 7s Plus," the phablet-style product could find itself in an "awkward position" between the 4.7-inch and OLED models, he believes. Currently, the iPhone 7 Plus carries a $120 premium over the iPhone 7. In all, Kuo is extremely bullish about Apple's 2017 iPhone lineup, expected to launch in the latter half of the year. He expects shipments of new models will balloon to between 90 million and 110 million, up from an estimate 75 million in 2016. Supply chain sources indicated to Kuo that Foxconn will be the primary manufacturer of the new OLED iPhone, while Pegatron is believed to become the exclusive supplier of the 4.7-inch LCD model. A large chunk of manufacturing of the 5.5-inch "iPhone 7s" is expected to fall to Wistron, but Kuo believes that model will only account for between 10 and 15 percent of new iPhone shipments next year. The latest indications suggest that OLED production may not be as constrained as was previously feared. Recently, numerous reports suggested that limited availability of OLED displays could limit production of the new flagship iPhone in 2017. Last week, Kuo indicated that both the 5.5-inch "iPhone 7s Plus" and slightly smaller OLED "iPhone 8" will feature dual-camera systems. But it is not expected that the 2017 4.7-inch "iPhone 7s" will gain a second camera, as was introduced on the iPhone 7 Plus.